Almost Human Almost Human ( Episode 05 ) Kennex and Dorian must protect a witness to murder. is an American science fiction/crime drama that premiered November 17, 2013 on Fox for the 2013–14 U.S. network television schedule . The series was created by J. H. Wyman for Bad Robot Productions and Warner Bros. Television . Wyman, Bryan Burk and J. J. Abrams are executive producers. The series was originally scheduled to premiere on Monday, November 4, 2013. However, Fox later announced a two-week delay, setting it to air its pilot episode on Sunday, November 17 before airing episode two in its regular time slot the next day. 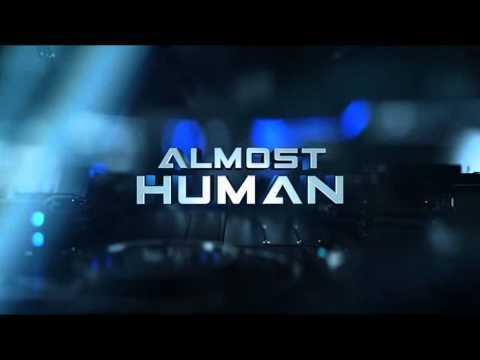 // ALMOST HUMAN Soundtrack - End Credits Music 0 views runtime : 0:00:33 Music from the end credits of ''Almost Human''. What did you guys think of the premiere?..